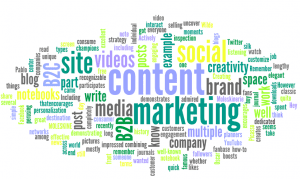 Content marketing – how is it of real business value? 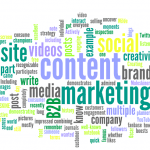 What is the true value of content marketing and how can it be demonstrated? That’s a question that many marketing managers, particularly those who work in B2B marketing, are realising they need to answer. Content marketing may have been one of the marketing buzzwords of recent years but it’s clear that some marketing managers are still to be convinced of its value. Do you focus on your customers? 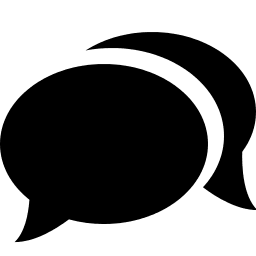 A 2014 study from Forrester Research showed that at that time, only 3% of respondents said that customer case studies and testimonials were a key part of their content marketing efforts. Instead many of these companies fell into the trap of talking about themselves in their content marketing rather than focusing on what they do to make their customers’ lives easier. Compare that to latest research showing that 73% of B2B marketers are publishing case studies today. Things are looking up – because the results are positive. Before you start work on any piece of content marketing, be it a blog, video or an infographic for example, the key is to be clear on what value your reader, viewer or user will get from it. Understanding the WIIFM (What’s in it for me?) element of each piece of your content marketing is absolutely essential if you are to meet the objectives you set for your content marketing. Most viewers are unlikely to want to watch or hear you talking about yourself or your company. If you can answer a question, demonstrate something useful or relevant, or resolve a problem they have, then you’ll have created a valuable piece of content marketing, rather than another piece of copy that belongs in the company brochure. If you’re struggling to think of a compelling piece of content marketing for your business then download our report Marketing Ideas for Boring Businesses. We’re confident that there’s a perfect campaign based on content marketing for your business. If you build your content marketing around a landing page which drops into one of your marketing funnels then you will be able to directly track the leads you generate in your content marketing. Whilst new leads are essential to the growth of any business it is also vitally important that you continue to nurture your existing base. For the vast majority of businesses it is easier to retain an existing customer than to recruit a new one and content marketing is an ideal way to do that. If you’re not convinced of the value, then monitor your customer retention rates during your campaign. If you understand the cost of recruiting a new customer then you’ll be able to count any drop in lost customers as a saving to your business, created by your investment in content marketing. Focusing on relationship building and maintenance is the key to effective content marketing. Once marketers move to a strategy built around relationship building through content marketing, rather than one focused exclusively on the acquisition of new customers, the results speak for themselves. Effective content marketing boosts brand visibility and attracts prospects interested in the solutions offered by your company – exactly the sort of people any company wants as customers. Download more free tips on digital marketing here.